Click on this link to read what the CDFW is now documenting as to how Hot Creek will be managed. 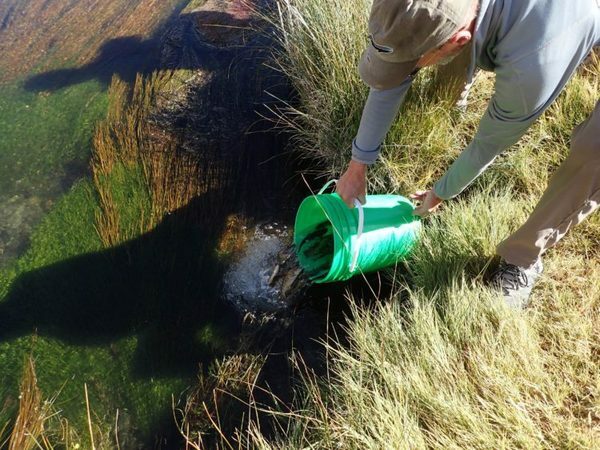 In short, HC will be receiving some small sub-catchable sized rainbows and browns on 10/6/16. More fish are slated for next spring. This is a significant change in how HC is being managed since the new laws have been implemented several years ago. Hopefully we will get a solid winter to provide much needed flows. This is a year around fishery with special regs in place. *Tom Loe is under permit from the Inyo National Forest Service to guide Hot Creek.